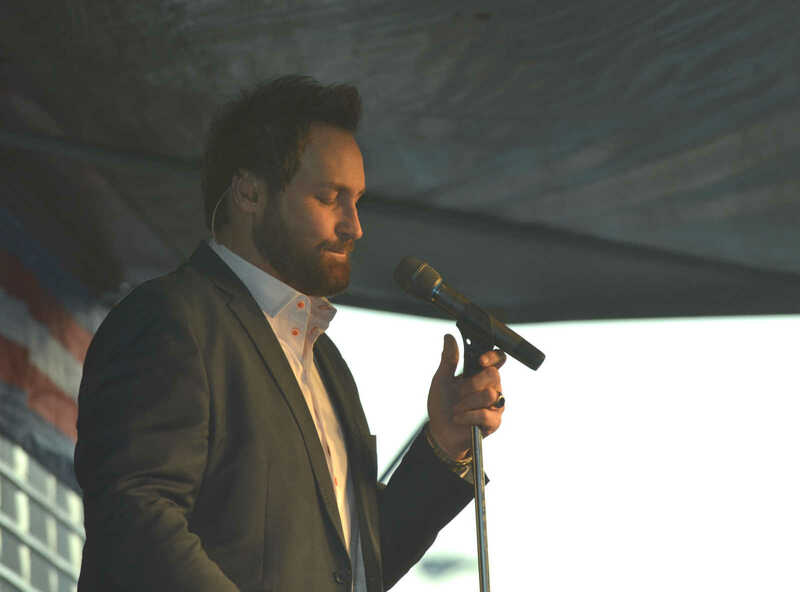 Michael English performs during Gospel Night. 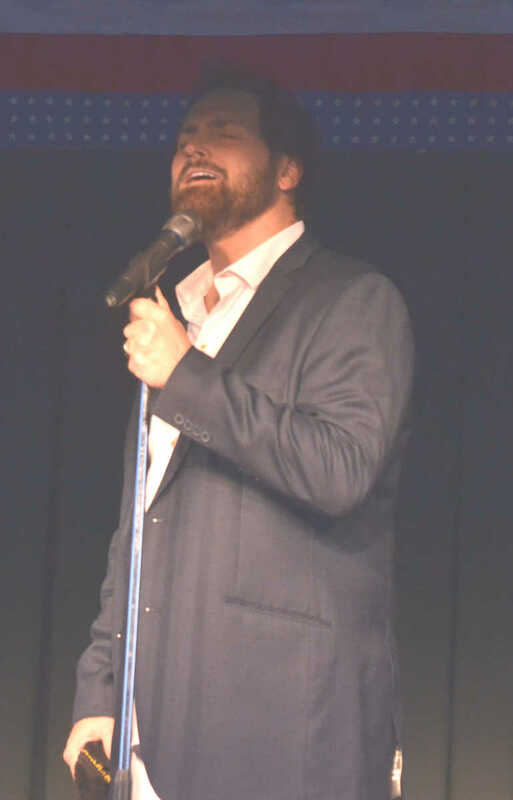 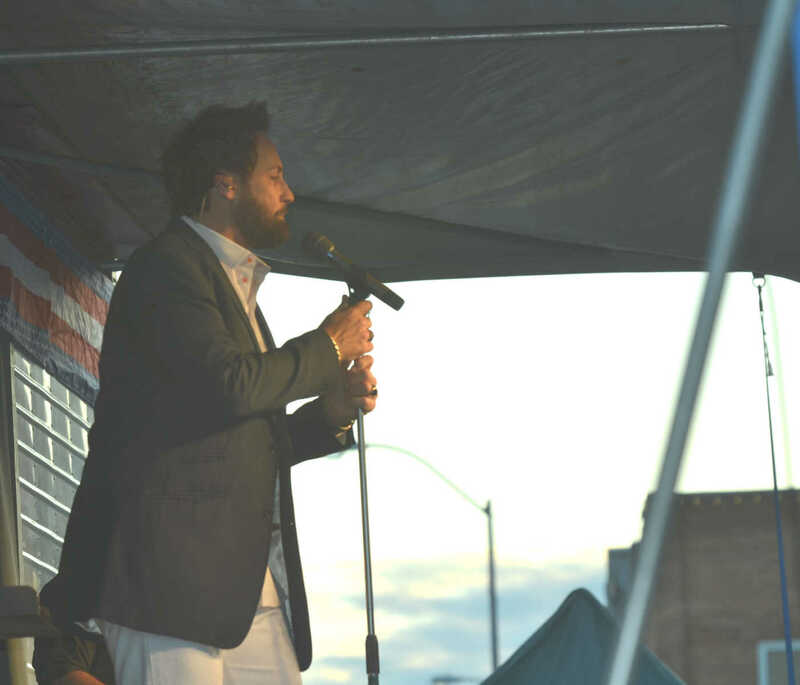 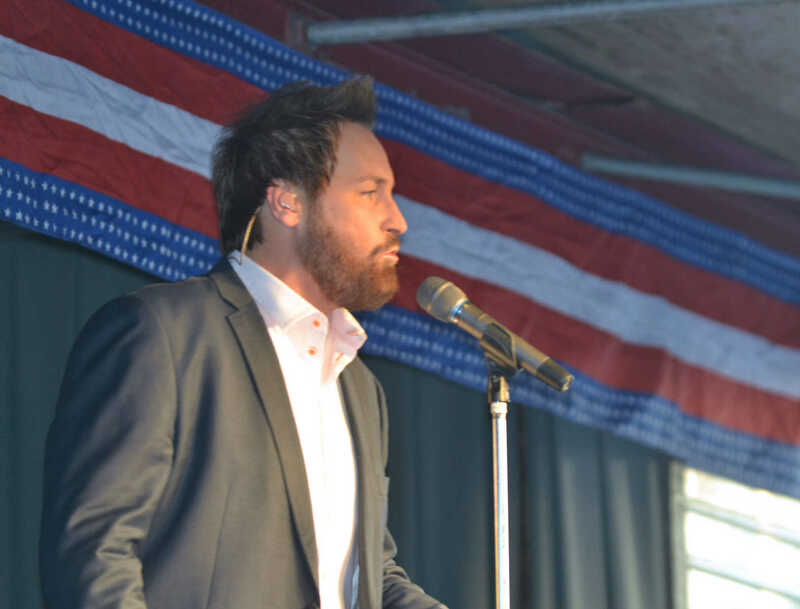 Singer Michael English performs at Gospel Night during Bushwhacker Days on Wednesday, June 5. 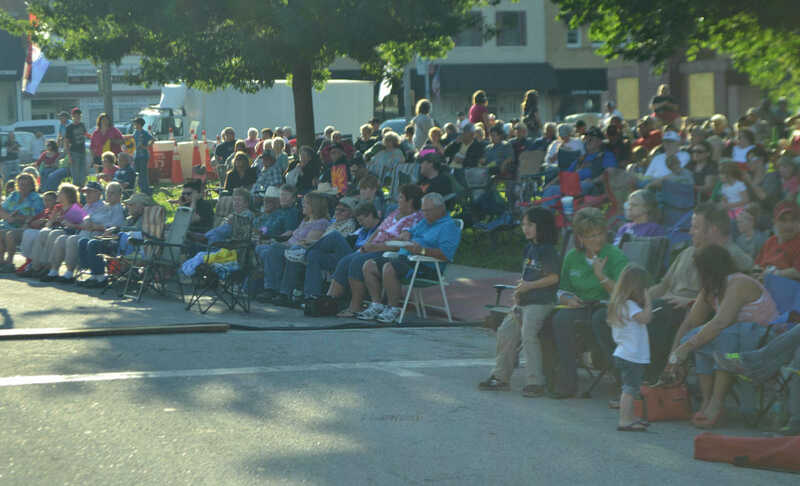 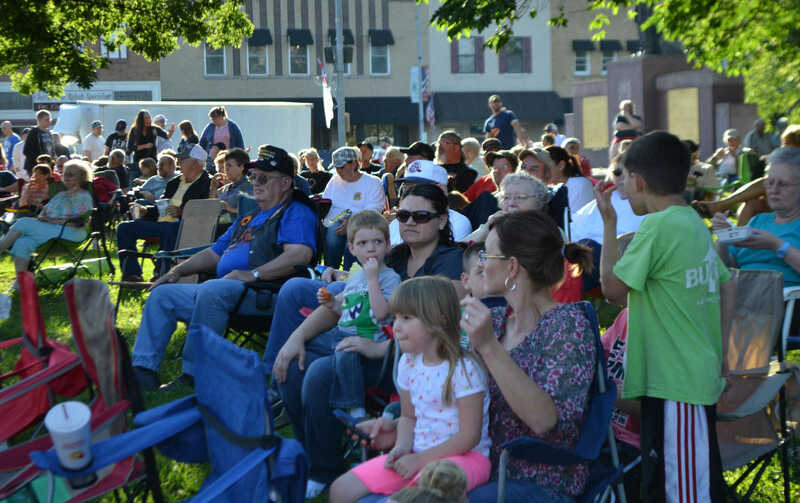 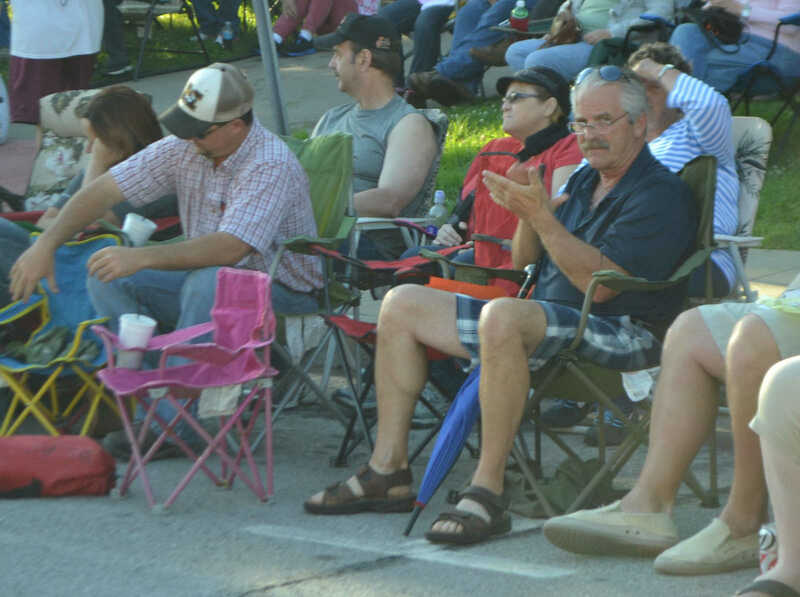 A large audience attends Gospel Night at Bushwhacker Days on Wednesday, June 5. 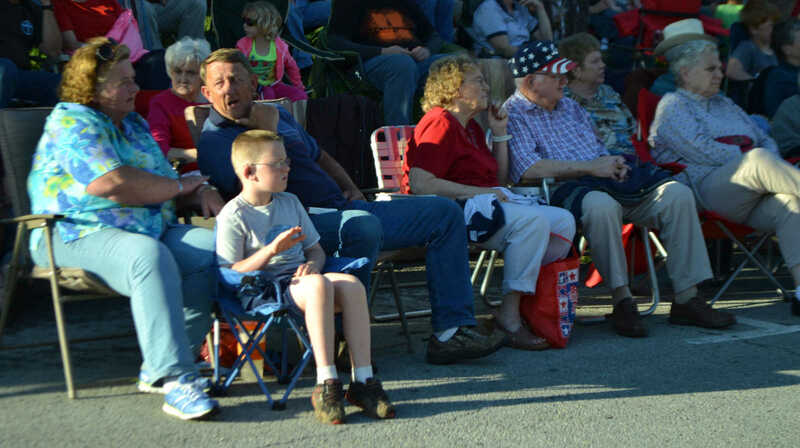 Dan Dilly, of Deerfield (with umbrella), claps after a song during Gospel Night at Bushwhacker Days on Wednesday, June 5. 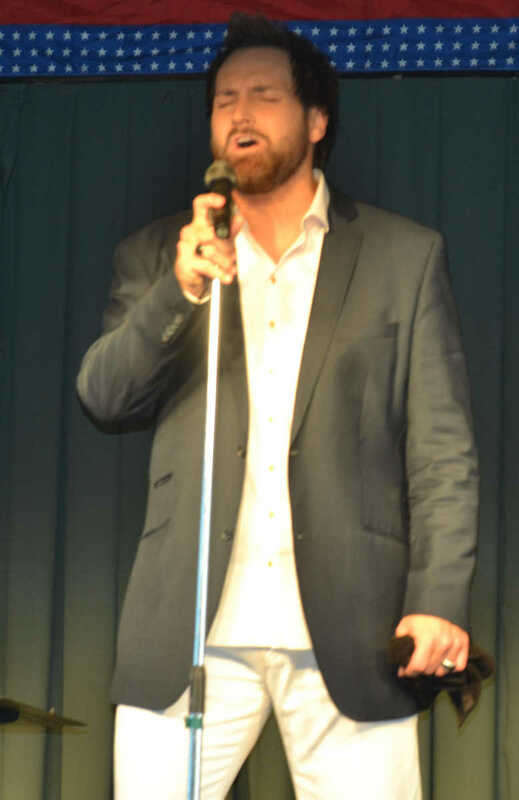 Braxton Otter taps along with the music at Gospel Night. 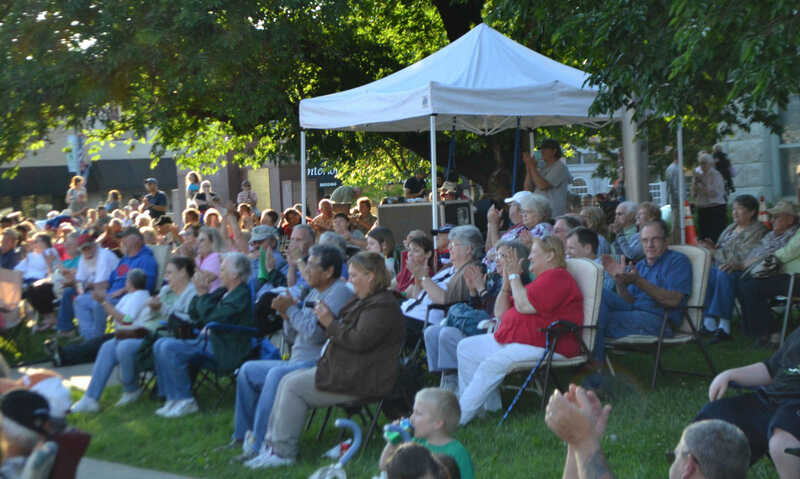 The audience claps during Gospel Night.